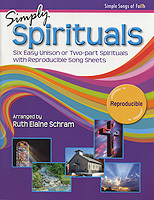 Lively, energetic song in the style of a spiritual, with a joyful text by David Davenport. Scored for SATB; may be performed with piano accompaniment or a cappella. 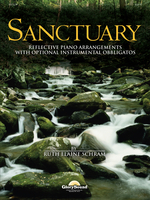 Ruth Elaine Schram finishes her musical trip through the seasons in this fourth volume of her popular Prayludes series. As you page through the leaves of this Autumn collection, you'll find medleys of hymns for Thanksgiving, Christ the King Sunday, All Saints' Day, as well as topical selections for missions or stewardship Sundays. As always, each medley is designed for maximum flexibility to help you to prepare brief fillers or full preludes and offertories. All are easy to prepare and lie comfortably under the hands. Complete your seasonal collection with this colorful fall celebration. Songs Include: "Blessings," "Hallelujah!," "What a Beautiful World," "Tell the Nations," "Our Foundation, Our Guide," "Crown Him King," "We Thank You God," "We Gather, We Praise," and "For the Saints." In this fourth installment of the "Hymns We Love" series for piano, six of your favorite arrangers apply their skills to the melodies and rhythms of the American spiritual. Because spirituals share roots with many popular music styles, you will find more than a touch of jazz in this collection, but there is also a sensitive and beautiful side to this repertoire. Songs by Ruth Elaine Schram include: "All Night, All Day," and "Chariot's a-Comin'!" Poignant pairing of two favorite Lenten Spirituals, "Were You There?" and "He Never Said a Mumbalin' Word." Mixed meters (moving from 4/4 to 3/4 and back) emphasize the thought-provoking text of "Were You There," without being jarring. Very effective for Maundy Thursday, Communion Services, or any time during Lent.